Our premise for the sectional design was to clearly reveal the old and new through materiality. The anchor for the project is the archaeological dig, which calls attention to the rich history of the site extending beyond the building's establishment. This project was a collaboration with Lincoln Davidson and preservation specialist, Izabella Dennis. A historic university building in Oaxaca, established in 1898, perhaps before, is in need of a new life. 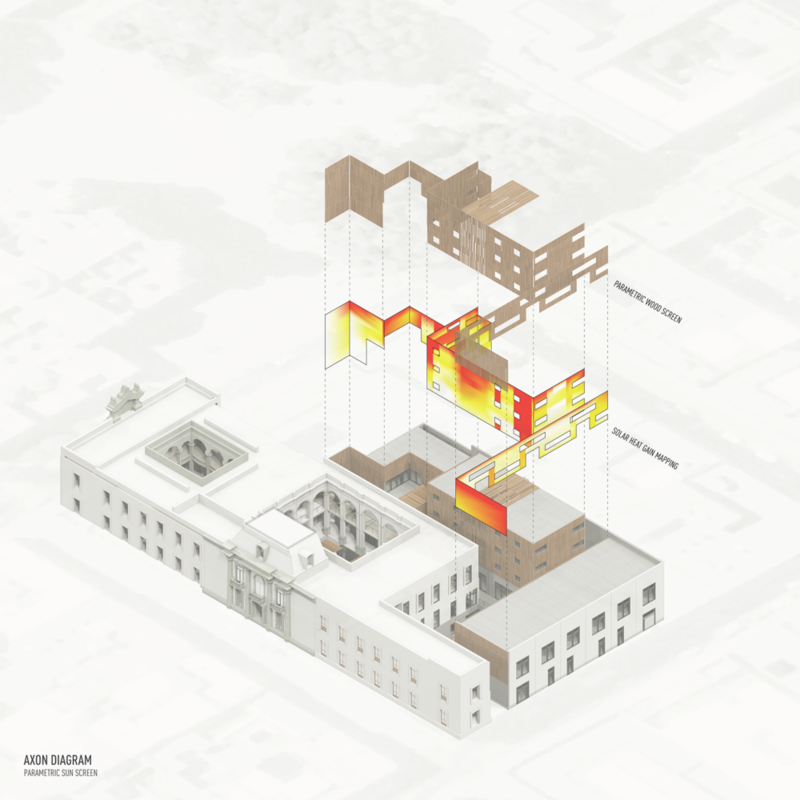 Working within a historic framework, we designed an intervention to house graduate students and visiting faculty while offering necessary economic invigoration in the form of a museum, retail and conference facilities. The guidelines established by United Nations Educational, Scientific and Cultural Organization (UNESCO) for the historic urban landscape dictate that the integrity of the site be preserved. 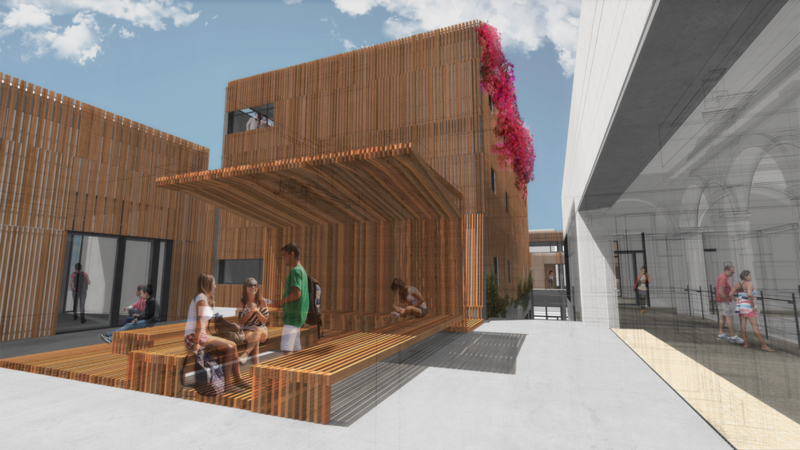 Our design aims to maintain all sight lines and materials from the street, while introducing a new architectural language within the courtyard interventions. Vernacular building techniques are employed within the contemporary language of the housing intervention. 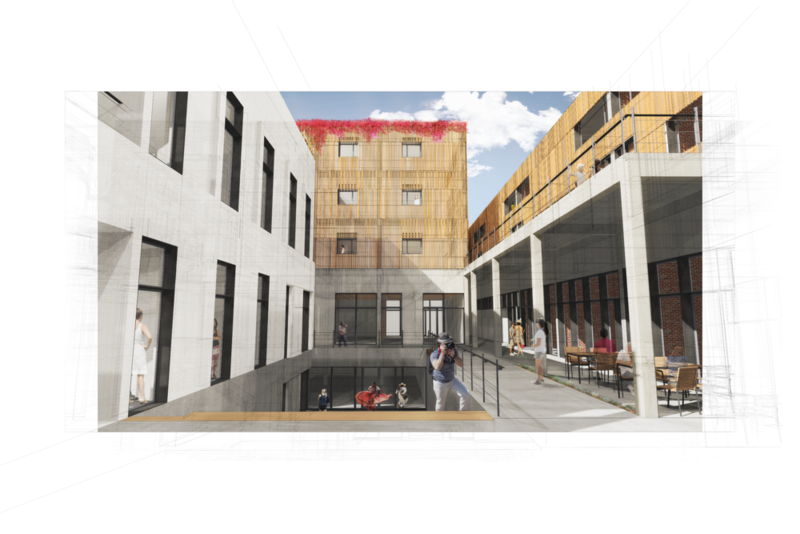 Wood, brick and concrete define the contemporary school and housing program, and stucco speaks to the historic building. The interstitial space between the old and new buildings creates a dialogue evident from the aging of the materials. 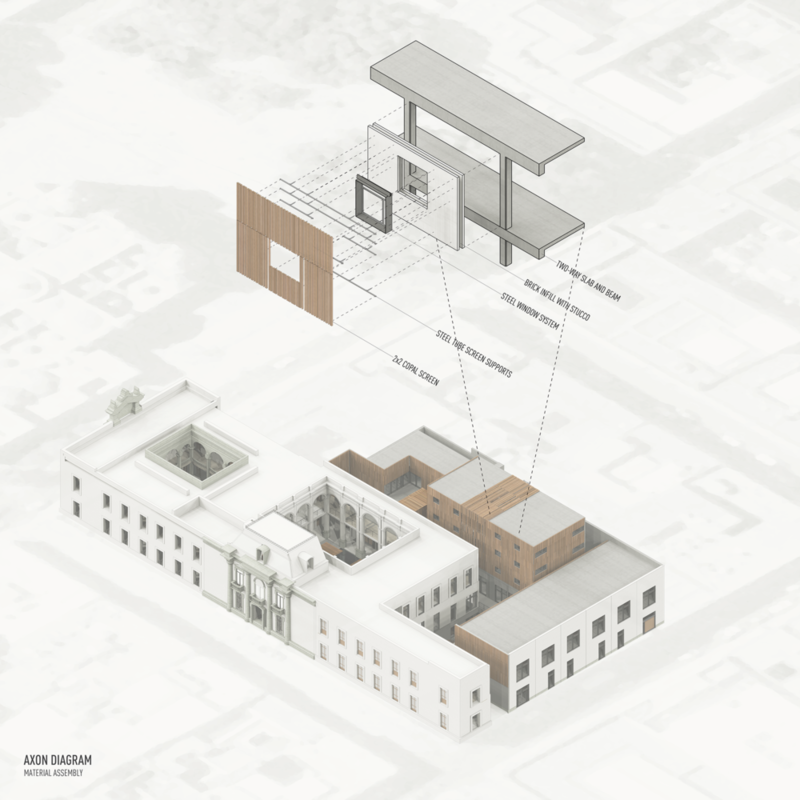 An archaeological dig will serve as the connector between the museum and the contemporary intervention, showcasing the artifacts found below grade and the layers of history from Mesoamerican culture.